Are you hoping to head North for your cycling adventures? 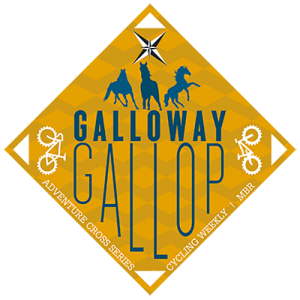 With the Galloway Gallop Adventure, you get to see the beautiful country of Scotland and spend time with others in the Birmingham Cycling Club who are also heading up north. This adventure is taking place at the beginning of next month on Sunday 5th November 2017. You’ll need to get booking your tickets if you’re hoping to sign up and ride! The address of this event is: Kirroughtree MTB Centre, Galloway Forest Park, Dumfries, Scotland, DG8 7BE. We recommend you buy your tickets from the UK Cycling Events page, as always! However, you only have two weeks to book your tickets otherwise you’ll find that you have to pay larger prices on the day than necessary! So, what should you expect and what will your money buy? Yet again, the prices are under £40. In fact, for the Massif option, you’ll spend £35 and be able to ride the 69 miles and 4858 ft. However, if you choose to buy the entrance on the day then you’ll be looking at the price of £40, instead of £35! In fact, this event was RESCHEDULED. So, if you’re wondering what happened to the Galloway Gallop route – is is now taking place at the beginning of November. Can you attend? We sure hope to see lots of Brummie faces shining back at us when we mount our bikes for the ride! If you fancy a slightly easier route than the Massif – check out the Mini Massif. This option will allow you to cycle just 52 miles and 3727 ft. However, you’ll make some savings too as it’ll only cost £26 on the UK Cycling Events page. But, if you buy on the day, you can expect to start paying £31 which isn’t too much of an increase but if you can guarantee you’re going then why not cash in and spend that extra money on a few pints? If you had already entered the event, then don’t worry – you have already been transferred to the new date so there is no need for you to sign up for a second time. However, you aren’t able to join this ride, then why not sign up for one of the other events in 2017? There is a huge amount for you to choose from. However, this time of the year offers just a few problems when it comes to the amount of daylight cyclists can get. So, this route may be changed, but you’ll be warned with plenty of time. Just make sure to follow the signs on the day and you should have absolutely no problems with keeping up and make sure you don’t get lost in the process. What can you expect on this route, you may be wondering. Well, the Galloway Forest Park is a particularly beautiful place to enjoy a cycle around, especially as the season winds down and routes are becoming shorter due to reduced daylight. 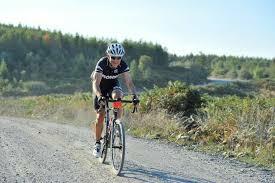 You’ll find that this route is mainly in the forest and along windy forest roads, however, there will be a large difference in surfaces throughout your ride to bear in mind. But, don’t worry – there is always a medical and mechanical team on site. So, if you find yourself in need of a little help, they won’t be too far away.